Ask and ye shall receive. Well, if you’re my sister-in-law–who e-mailed me a couple of weeks ago with a plea for help. 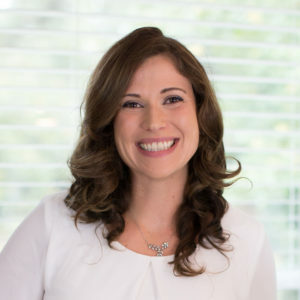 She needed a granola bar recipe that was gluten-free, nut-free, and dairy-free to go to a nut-free school with her daughters and accommodate her daughters’ food sensitivities. (Clearly, any recipe I come up with will be grain-free too.) Oh, and her kids don’t like dates or raisins. Did I have anything that would work? Erm. If you want to change up the flavors here, you could use your favorite dried fruit or add some fun spices. But, I do have to warn you that my husband used the P-word to describe these (Perfect). I cut these into 16 squares. 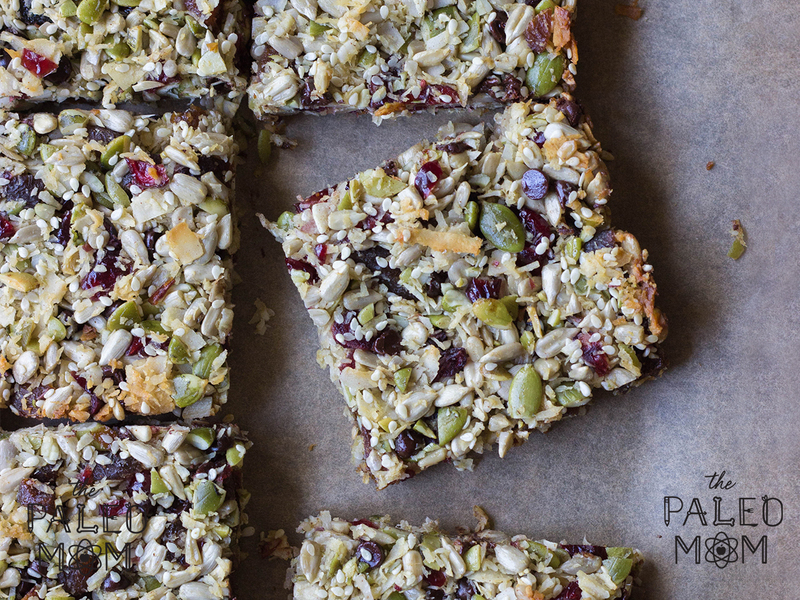 If you want to cut into rectangles to be more granola-bar like, if would make about 10. Grease a 9″x9″ pan with coconut oil or palm shortening. Preheat oven to 350F. Coconut flakes should be chopped to the size of large flakes of oatmeal. Pepitas should be chopped to roughly the size of sunflower seeds. Apricots and cranberries should be chopped to the size of raisins or slightly smaller. Optional: toast chopped flaked coconut in a skillet over medium-high heat for 6-7 minutes, until lightly browned. Blend eggs, honey, salt and cinnamon to completely combine (about 20 seconds). Combine all the dry ingredients. Pour blended eggs over and mix to fully combine. Pour into pan and press down evenly. Bake for 18 minutes. Let cool completely then cut into bars or squares. These look great. I love all the different seeds! These look great! One of the hardest nutrition challenges we have is finding portable snack foods. On another note, I was listening to one of your podcasts in which you talked about eating beef heart sausage for breakfast. I heart heart, and I am also trying to get more organ meats into my diet. Do you order this on line, or get it from a local butcher? I’ve looked at Whole Foods and on line at US Wellness Meats and I have not seen anything like that available. I’d like to find something like this as I cannot eat eggs due to AI issues. Thanks! Both. Tropical Traditions sells trimmed and sliced beef heart in 1 lb packages. Very ripe bananas would probably work for this. Is there an egg substitute? Like…would ground flax seed mixed with water work? 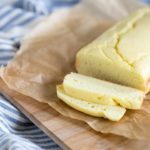 any chance this will work with egg free substituents? Probably depends on what substitute you use. They look great! I’m wondering what brand of dried cranberries you use. Every one I look at has added sugar in the ingredients list. It’s hard to find unsweetened dried cranberries. I use Trader Joe’s organic dried cranberries, which are sweetened. I have seen unsweetened dried cranberries at Whole Foods. So you must grind the hearts and make your own sausage? Do you just use 100% heart and spices? If I grind whole heawt, I don’t. But if I have trimmed heart, then I do add some fat, Typically suet or pork fat. I tried your other recipe for granola bars and they were a big hit! I love having a treat in the freezer and they are really filling! looking forward to trying these too! Thanks for the awesome info! Oh awesome! Gluten free, dairy free, and nut free is perfect for me. Thanks! What would you use to replace the eggs with? Chia egg? zucchini puree? I typically use 1Tbs milled flaxseed + 3Tbs water stirred and let sit for 3-5 minutes (per egg) . I would love to hear other suggestions as this doesn’t always work perfectly. HTH. We learned that my son is allergic to peanuts and tree-nuts. Because of the tree-nut allergy the doctor also told us to stay away from all seeds (i.e., sunflower, poppy, sesame, etc.). These look great because we are looking for nut-free snacks, we’ll just leave out the seeds. Thanks for your great recipes!!! I’m glad someone else has the same information – my son is allergic to nuts (all – tree nuts and peanuts) and we found out the hard way that sesame is also an allergen. We’ve also been told to stay away from coconut, too, though I find that a little odd. Finally made these yesterday :). I couldn’t find cranberries without added sugar, is there such a thing? I ended up getting figs instead. They are really good but I think the cranberries would be better, I’ll keep looking. The kids really love them, thank you so much for posting this.. They aren’t huge fans of bars made with “dates” and love all of the seeds. I used the extra to make up a trail mix for them to take to school for snacking. It’s very hard to find cranberries without sugar. I used ones from Trader Joe’s which have sugar but less than some of the other brands. Ive found apple sweetened cranberries by eden organics which I love! Also, FYI, in case anyone is interested :), I put mine into 12 muffin tins instead of a 9×9 pan (couldn’t find mine! Ha!) and it worked out beautifully! Perfect portions. Eden Organics has apple juice sweetened cranberries but they do have sunflower oil too…. 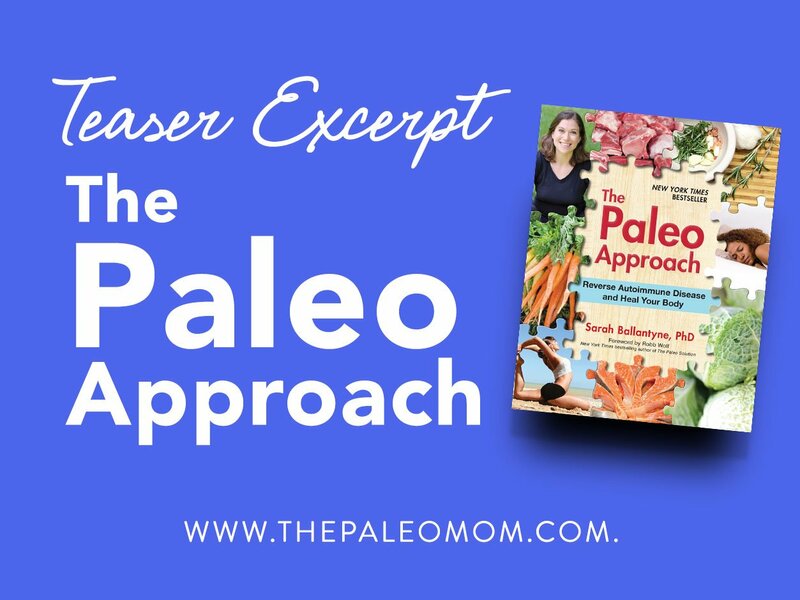 I’m not 100% on all things Paleo, so not sure if that oil would be ok.
Sunflower oil is pretty high in omega-6 but also one of the highest food sources of vitamin E, so it’s generally considered Paleo but not as good as other fat choices. There’s very little on the cranberries, just enough so that they don’t stick together so unless you are super sensitive to omega-6s, it should be fine. Thank you so much! My stomach has been bothering me yet again these days, and I’ve been thinking its over-consumption of nuts! This is great – I can’t wait to try it it looks delicious! Has anyone happened to work out fat/carb/protein for this? First…I have stalked this blog for recipes for a long time now. Second…We are secretly BFF’s 😉 I brag about you to everyone. Third….while I find most of your recipes to be some of the best around these take it up a notch. I struggle with trying to keep my 19 month old Paleo because of all the pressure from other people around us. This gives me a treat I can give her without people thinking “Oh, here she goes again with that wacky food thing she does” AND she LOVES them. As do anyone else who tries them. I have had to link to this recipe half a dozen times now because people keep asking me for it! I recently dehydrated some blueberries and bananas and used those in lieu of the cranberries and apricots. DELICIOUS!!! And I love knowing there is no added sugar in the fruit. I will be buying apricots to dehydrate and when I see cranberries I will do those too but to anyone who has a dehydrator I highly, highly recommend the blueberry/banana combo! These seed bars are fantastic! My whole family loved them. I didn’t have any sesame seeds on hand, so I used chia seeds instead. Still came out yummy. Made these yesterday for a bakesale at work and gave out a bunch of links to your page due to recipe requests! Second batch in the oven now because I only got the crispy ‘crusts’ from the first! (no complaints!) Snack foods are what I’ve been missing on my journey to Paleo, I am not a person who can only eat three times a day, definitely a grazer, and you’ve saved me! thank you!! Can I use parchment paper in the pan instead of the oil or shortening or does this do something for the bars? Probably. If you try it, comment back and let everyone know how it worked. I make these about once a week and I always use parchment paper, no clean up and I basically just re-use the pan over and over (until I decide it’s time for a clean). They don’t stick to the parchment paper at all. any coconut substitutes or would it work if I just left the coconut out all together? I was wondering this too? 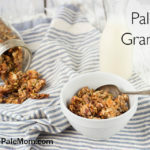 I’m allergic to coconut & most Paleo granola recipes I’ve been looking at seem to use it. I presume it would work to sub some other nut or seed but I haven’t tried it yet! 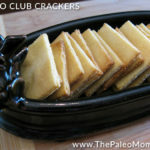 Civilized caveman has a recipe like this, but with nuts, and it is delicious!! I’ll have to bookmark your version to try sometime too. 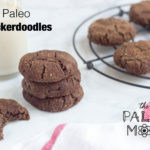 I just made a double batch of these and they were a BIG hit, even with my not-so-healthy husband! My question is what would be the best way to store these if we aren’t going to eat them all in the next few days. Can they be frozen? How do they do in the fridge? Thanks! I’ve had them in the fridge for 2 weeks (individually wrapped in plastic wrap and then in a container) and they’ve been great. I’ve never tried freezing them. I think you could easily replace the cranberries with dried cherries, and I think it is easier to find unsweetened cherries. I have a question too – is it really 2 separate additions of a half cup of coconut flakes? One should be shredded and one should be large flakes (often called chips)… it’s for texture. With the egg in them how long will they last in the fridge for? I’ve had them in the fridge for a week before they all got eaten and they were fine. do you think these will work without honey? what holds these together, other than the eggs? My tummy prefers it when I pre-soak seeds. Would it work still or be too moist? I don’t have the means to dehydrate them afterwards. I could toast them a bit in the oven first to dry them out. Was just wondering as it looks like a good recipe. Nuts are way too expensive here. Thank you!! This looks like a perfect snack to send to school!! And fun to make too!! My kids don’t like dehydrated fruit and have asked for chocolate chips. They also don’t like coconut chips. So I tried the recipe with the choc chips, no fruit and coconut flour instead of coconut chips – I had a feeling it wasn’t going to work. It didn’t stick together. They’ll eat it with spoons 🙂 Can you recommend what I should use if I want to omit the dried fruit? Been trying to find something for the nut-free school that my daughter now attends. just wondering approx. how many calories would be in each bar if you cut into 16? What’s a good substitute for the dried fruit? I might put a few chopped dates in, but I’m not a huge fan of dried fruit in things and I’m trying to limit my fruit right now. i just made these and they are AMAZING!!! i used unsweetened dried cherries and apricots instead. 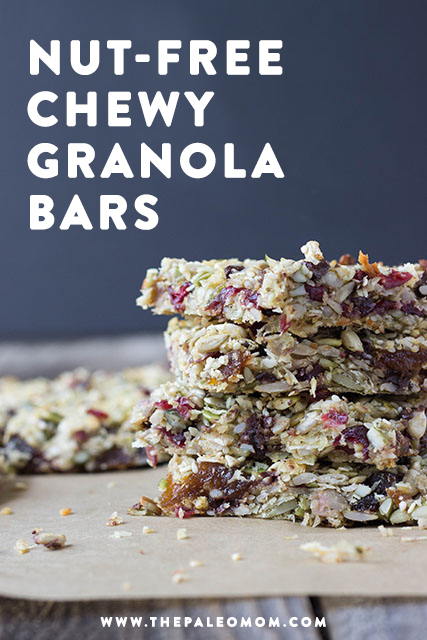 Hands down, the absolute best grain free, nut free granola bar i’ve made/tasted, and i’ve tried a lot! I love that they aren’t very sweet!!! My only question is this — i let mine cool and just went to cut them, and they seem rather delicate…ie, they are starting to fall apart a bit as i cut them. I’m going to refrigerate them overnight, and then try to cut them. Hoping being cold will harden them a bit more. Were yours on the delicate/crumbly side? If not, any thoughts on what to do to have them stay together better? Should I chop things up more finely??? Thanks so much! These bars are amazing! 2 thumbs up from my 14 year old and 10 year old. Just the right amount of sweetness…chewy, but they don’t fall apart. My kids will love having these in their lunchboxes this year. 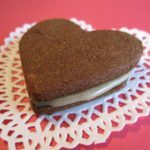 Thank you for sharing such great recipes! Thank you so much for this recipe. When we moved last winter, we found out our school had major restrictions. I made this every sunday and by friday we were out, I mixed it up by changing the dried fruit. oh and it is better with vanilla paste. For the summer we decided “no school” snacks, so we keep veriety. With my son starting to school tommorrow we went out and stocked up on dried fruit and my son is excited his coconut bars are back on the menu. We love this thank you. next challenge…. same no’s as above but also no egg as we think that might be my daughters allergy. The recipe does not mention whether the seeds should be raw or not. Most of the seeds in my pantry are raw. hi – I tried the recipe this afternoon – tasted amazing! But one issue – its falling apart. Followed exactly – so do you know where I might be going wrong? Our girls devoured two servings, but had to be servied in a bowl with a spoon. Any suggestions? Bake longer maybe? Hi there, I am desperately trying to do your Paleo approach to healing however I am really struggling with what I can eat as I don’t eat meat. 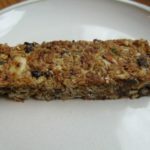 In your book you say no nuts or seeds so even recipes like this delicious Paleo granola bar appear to be out. Breakfast just isn’t happening for me at the mo! Your book doesn’t explain why no nuts or seeds (that I’ve found yet, it’s a big book 🙂 so could I have something like these bars without doing any damage to the healing process? I have no idea what is wrong with me FYI but I am more and more convinced it’s a histamine related problem. Love this recipe. It’s so hard to find a granola bar that doesn’t fall apart, or need huge amounts of honey or nut butter to stick together. So thank you! Question, can you freeze them? These worked out great. I used raisins instead of cranberries. Thanks!